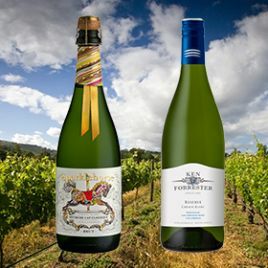 Ken Forrester has championed Chenin Blanc and Red Rhône blends with massive success and the wines have iconic status around the world. 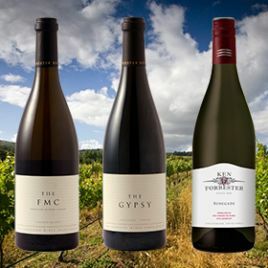 Join family member, Louw Strydom, to celebrate the 25th anniversary of the Ken Forrester winery, at Le Serre, a glass house restaurant located in the Kwun Tong Waterfront Park. Enjoy the twilight view of the city, while savoring a 4-course menu paired with a selection of celebrated wines from Ken Forrester. 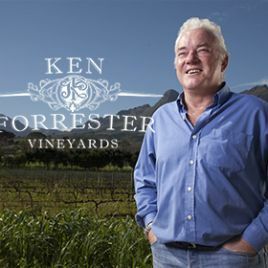 One of South Africa’s leading winemakers, Ken Forrester worked in restaurants and hotels for several years before acquiring the historic Zandberg vineyard in the heart of Stellenbosch. 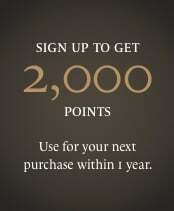 With most of this vineyard planted with Chenin Blanc, it was decided to enlist the help of good friend and top winemaker, Martin Meinert, with the challenge to produce Chenin Blanc that could rival any white wine in the world. 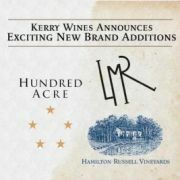 Ken’s philosophy has always been centered on the dining table, creating wines that suitably compliment a wide variety of food styles and astute palates.